For those seeking an all-encompassing, luxurious retreat from the real world, a resort stay on the Big Island of Hawaii is an incredible option. 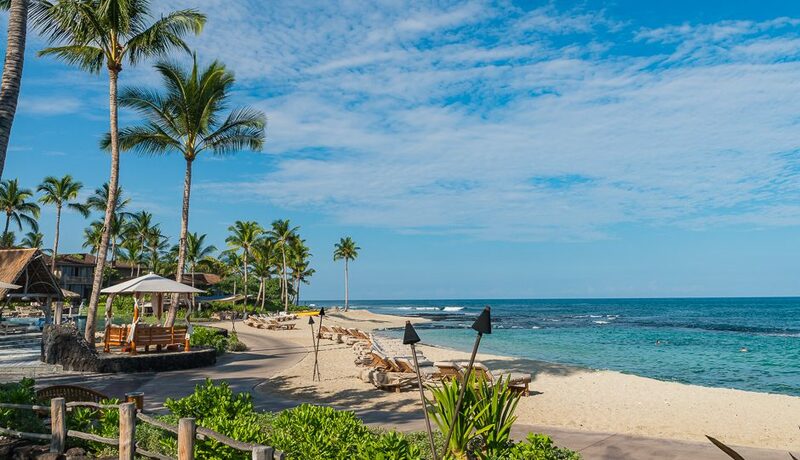 Some of the finest accommodations in the world call the Big Island’s western coast home and for good reason: incredible oceanside views, sunny climates year-round, and best of all – a world-famous beachfront that epitomizes the iconic Hawaiian vacation. 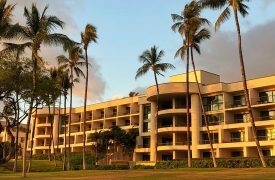 With these beachfront resorts, you’ll have the best Hawaii has to offer and plenty of space to lounge, relax, and play along white sandy beaches. 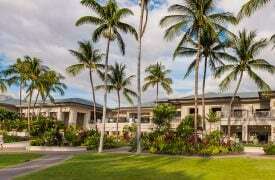 62-100 Mauna Kea Beach Dr. 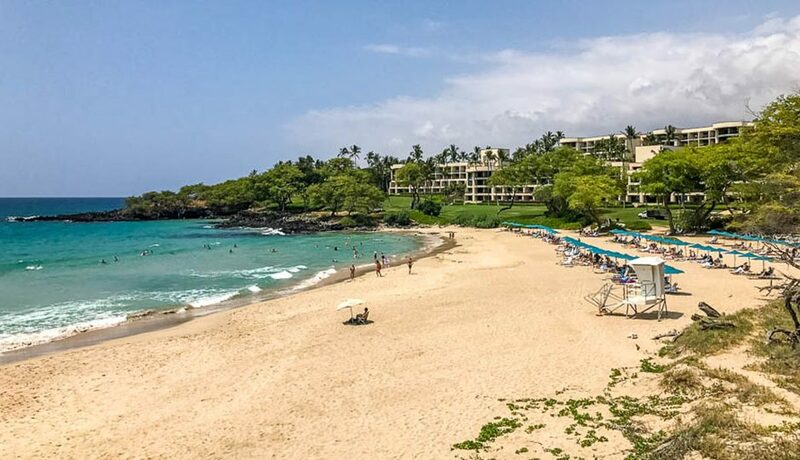 The first resort opened on the Big Island, this 60-acre expanse on the Kohala Coast is known worldwide as an ideal destination for a Hawaiian vacation. With a championship golf course, scenic views from every room, and just a short walk to one of the best beaches on the island, there’s no better place to call your home away from home. 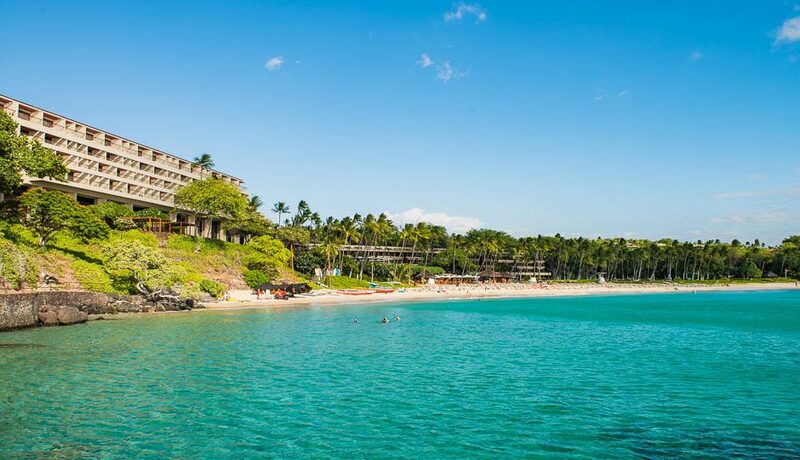 Positioned above arguably the most famous tropical beach in the world, the Hapuna Beach Resort is a coastal paradise. Oversized guest rooms, an 18-hole golf course designed by Arnold Palmer and Ed Seay, and open-air communal areas with a terraced garden make for a breezy, relaxing experience. And the Kohala Coast, with its dark lava rocks and white silica sands, makes for an incredible outdoor experience that demands a lengthy exploration. 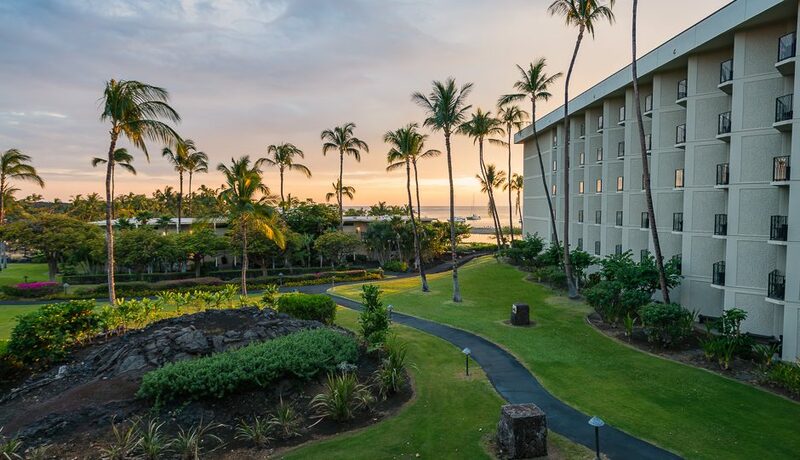 A sprawling, luxurious hotel, resort, spa, and shopping center, the Waikoloa Beach Marriott Resort is as all-inclusive as it gets. Two golf courses, plenty of restaurants, and beachfronts as far as the eye can see are just some of the highlights. 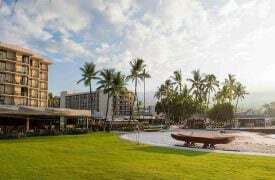 You’ll be in the center of Waikoloa Village, a modern and sophisticated shopping center teeming with attractions and services to accommodate all of your vacation needs. The epitome of luxury around the world, the Four Seasons at Hualalai is no exception. 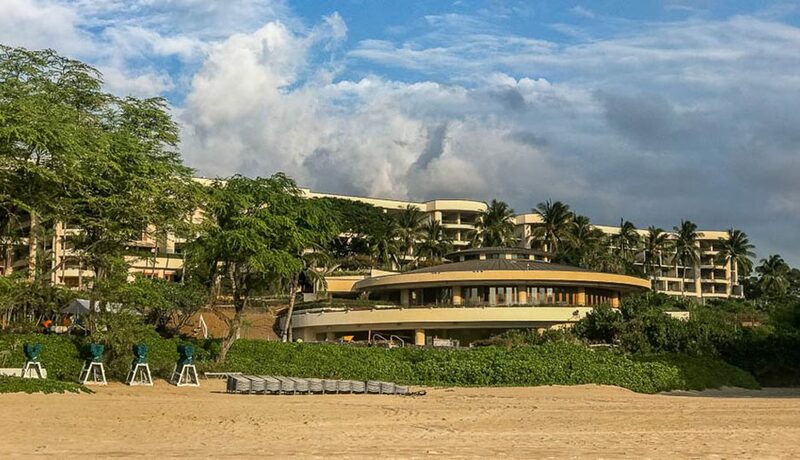 The resort features three of the highest rated restaurants in Hawaii, a full golf course, and private villas and cottages with their own concierge – plus more high-end amenities than can be described. 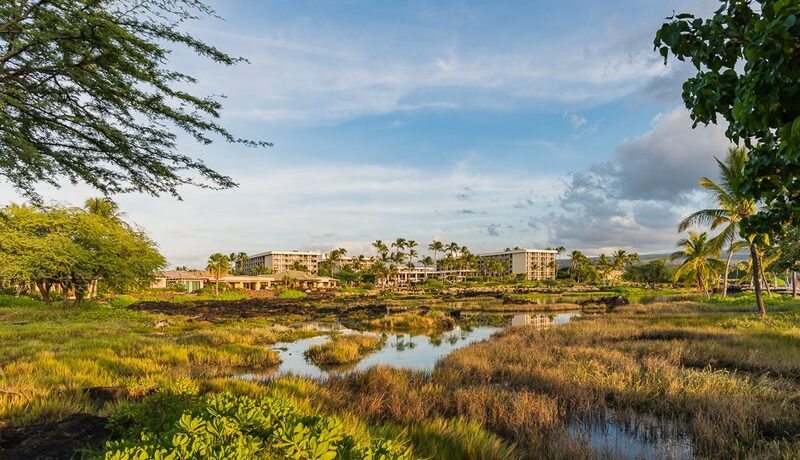 An open-air, immaculately maintained complex with live events nightly and year-round activities for kids and families, there’s no better place to stay along the Big Island’s western coast. With so many lodging possibilities on the Big Island it can be hard to narrow down the right option for your family. Here are some pros and cons to help you find an amazing Hawaii accommodation.